Damnit! 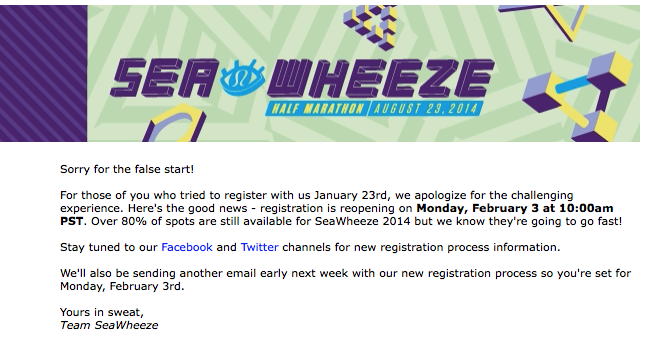 The registration for Sea Wheeze has been pushed off until February 3rd. 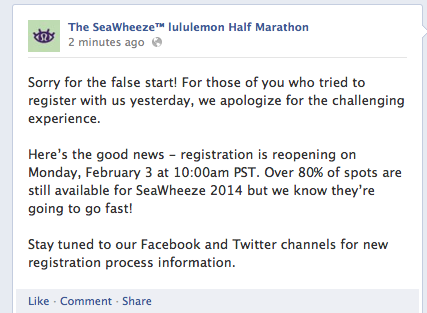 Emails were sent out that there will be a new "process" in place to register. I hope that doesn't mean lottery and crossing my fingers for something for legacy runners or that somehow those of us who got stuck in checkout can pick up where we left off. Info also said over 80% of the slots remain. Anyone have any insights? Was it an DDoS attack or just overwhelmed [low] tech? I just can't imagine the race got that popular that fast. 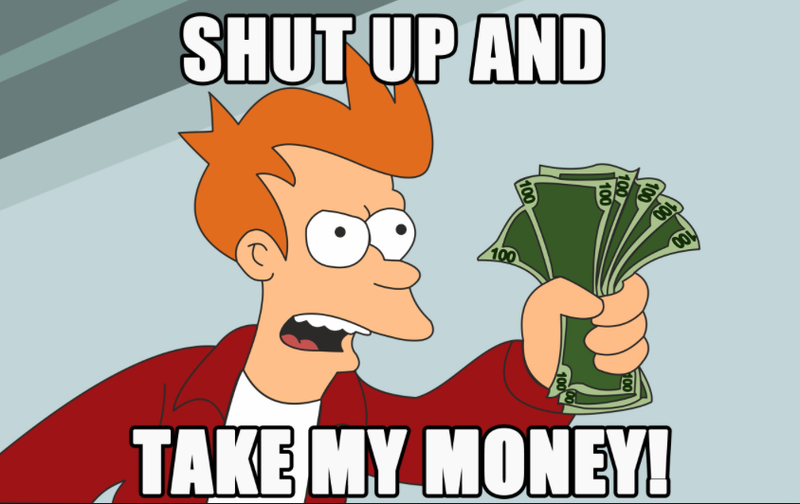 Particularly in a metro region that is only about 2.3 million big. Disneyland has been selling out their races in 24 hours the past year or so but Southern California has 22 million people and, in addition, Disney draws a large travel contingent. If the answer is overwhelmed tech, I hope the new CEO, Laurent Potdevin, who has a masters in engineering and hopefully an appreciation for tech, will make upgrading the IT systems at the company a priority. Lululemon has definitely been leaving money on the table with the issues that have been consistently plaguing e-commerce uploads since before Christmas.